[The Duel will come out with a $10 parlay angle every day, tracking success on a rolling seven-day span. In the last seven days, The Duel staff has gone 1-6 in parlay bets with a -$48 payout differential. Overall, we're -$114.68]. Even though this spread has risen two points from 17 to 19 points in the last 24 hours, via FanDuel Sportsbook, Wake Forest backup QB Jamie Newman will be making his first collegiate start Thursday night. The Wolfpack have been strong at home this season and they've been dominant against the Demon Deacons in Raleigh. "Jamie’s the starter, and it’s his game." 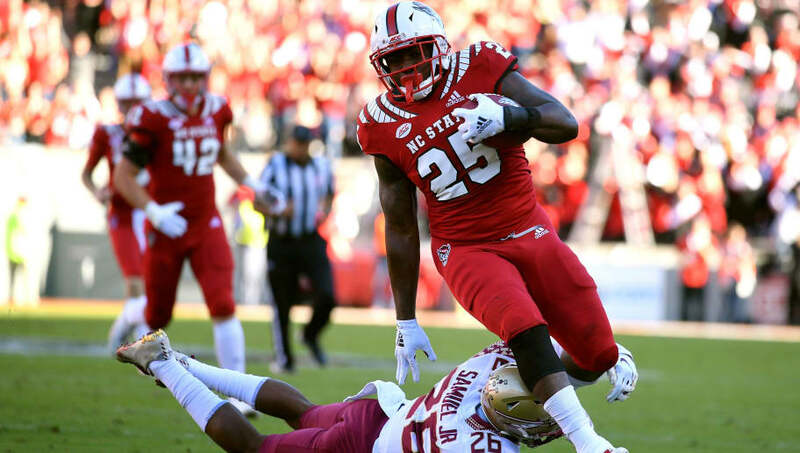 Over their past five meetings in Raleigh, Wake Forest has gone 0-5 and the Wolfpack have defeated Wake Forest by a 16.8-point average margin of victory in those five wins. Even with forward Draymond Green out for tonight's game, finding the Golden State Warriors at a minus-250 moneyline calls for some attention any time you see it. DeMarcus Cousins (left Achilles rehab), Draymond Green (right foot/toe sprain) and Shaun Livingston (right foot soreness) are out for tomorrow night's game against Milwaukee. The Bucks are certainly one of the best teams in the leagues through the first 10 games of the season after an 8-2 start, but Oracle Arena is one of the hardest places to win on the road with one of the best teams in NBA recent memory at home there.